This week was National Tree Week. 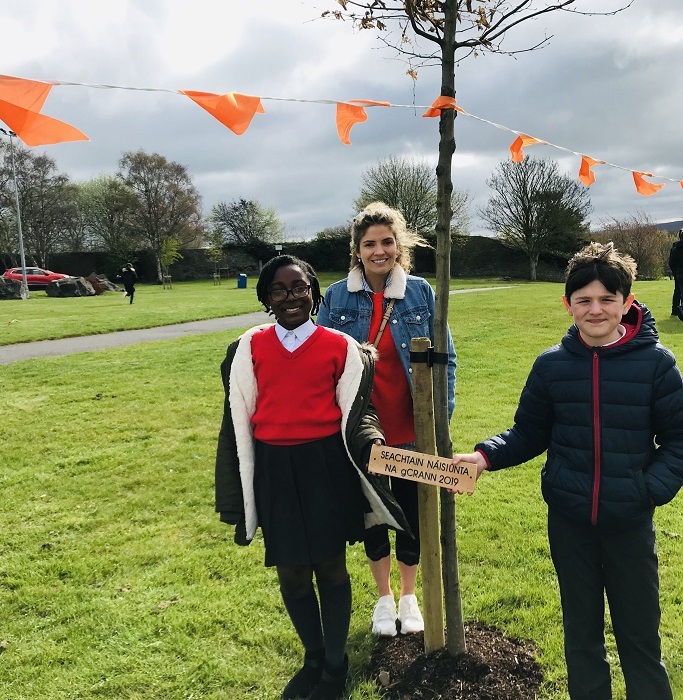 To mark the occasion, Naas Tidy Towns have planted some native Irish trees on the Fairgreen in Naas with help from Kildare County Council. 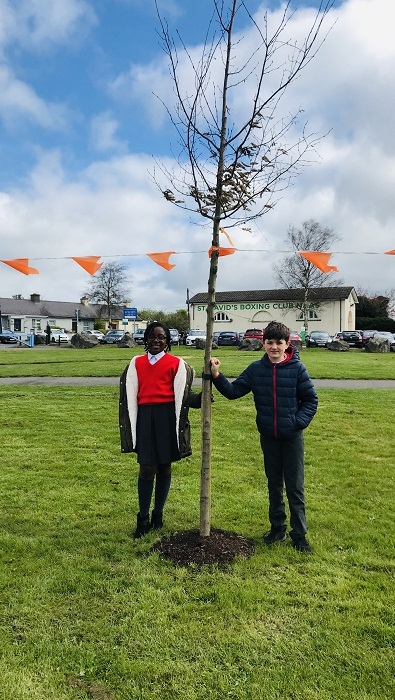 The Council are planting a tree for each school in the county and two pupils from the school were chosen to travel to the Fairgreen and represent Scoil Bhríde as our tree was unveiled alongside those of other schools in the locality. 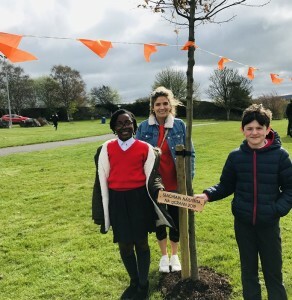 The pupils who represented us were Celia and Manus from 5th Class and you can see them and our tree in the pictures.